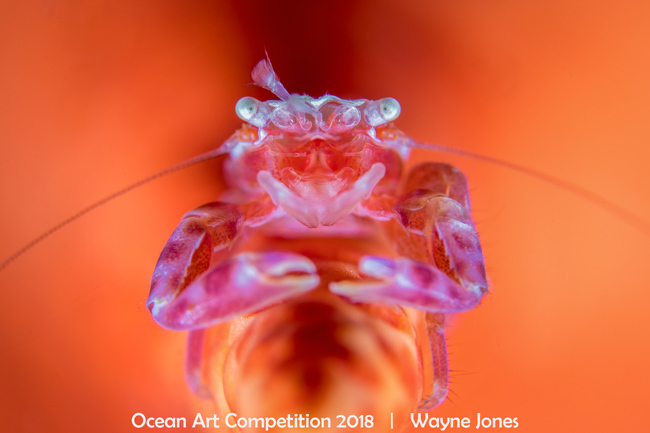 Wayne won a $300 gift certificate to Bluewater Photo - a premier underwater photography online and retail shop! The Story: Certainly, the goal of underwater photographers is to capture images of the marine world with as little disturbance as possible. Looking for subjects on a small Gorgonian I spy upon a small porcelain crab hanging underneath the tip of an overhanging Gorgonian branch. I could have encouraged this little one to sit atop but then crab survival kicks in and they can become difficult to photograph. With forethought post production allows easy rotation and the little crab is set atop without interference and the ability to get very close to the undisturbed crab and create is much more assured.